This weekend I went to our local farmer’s market and was surprised to find a local farmer still offering fresh broccoli. He said this was his last batch until fall since the weather has been so warm already. I grabbed a pound of it and came home to make this fresh broccoli cheese soup recipe. Broccoli and cheddar go brilliantly together and this is an easy one pot meal that is nice and filling. It’s a great addition to your Meatless Monday recipe lineup as well! Doesn’t it look heavenly? Personally, I try to buy fresh broccoli whenever I can rather than frozen. I really just don’t care for frozen broccoli. Sometimes I can find it local and in season. 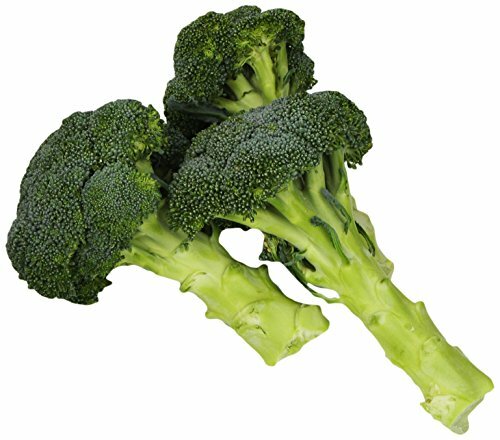 Occasionally I actually find organic broccoli but that is usually pretty rare. Most of the year I just deal with the fact that my fresh broccoli is probably coming from someplace far away. I wish that wasn’t the case but broccoli does not particularly like the heat of the south! You could probably make this broccoli cheese soup recipe with frozen broccoli. 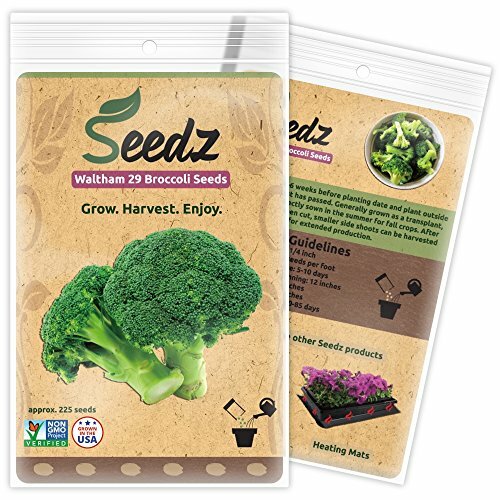 Just thaw it out first and cook it a little bit less since it usually isn’t as firm as fresh broccoli. 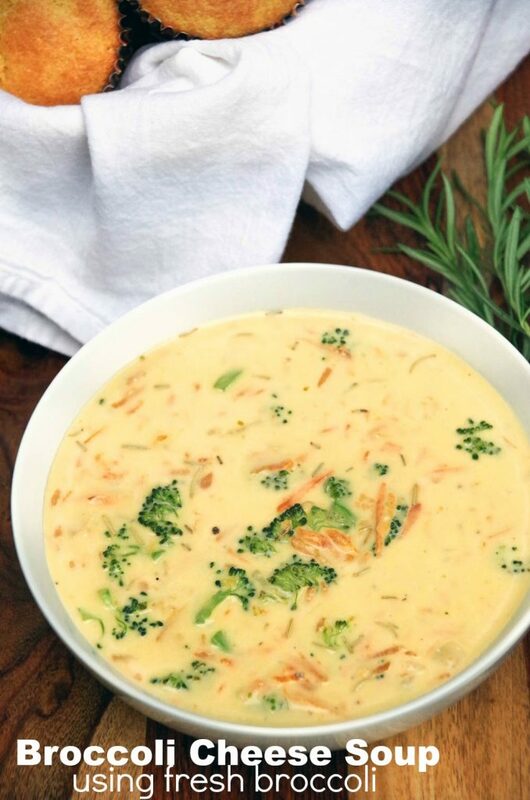 If you live in a cooler climate, you could grow broccoli in your backyard garden and have an endless supply for this fresh broccoli cheese soup. I tried growing it here once but couldn’t plant until October and by the time it was ready for harvesting in January there was snow on it! This is a hearty soup and we had it for dinner with some corn muffins and were quite satisfied. You could certainly serve it as part of a larger meal just make sure you serve smaller bowls. This recipe fed 4 adult sized people with no leftovers. Add in the flour, salt, pepper, and rosemary and stir to coat the vegetables. Pour in the stock, milk, and cream and stir until slightly thickened (about 5 to 10 minutes. Add in the shredded cheddar and stir until melted. 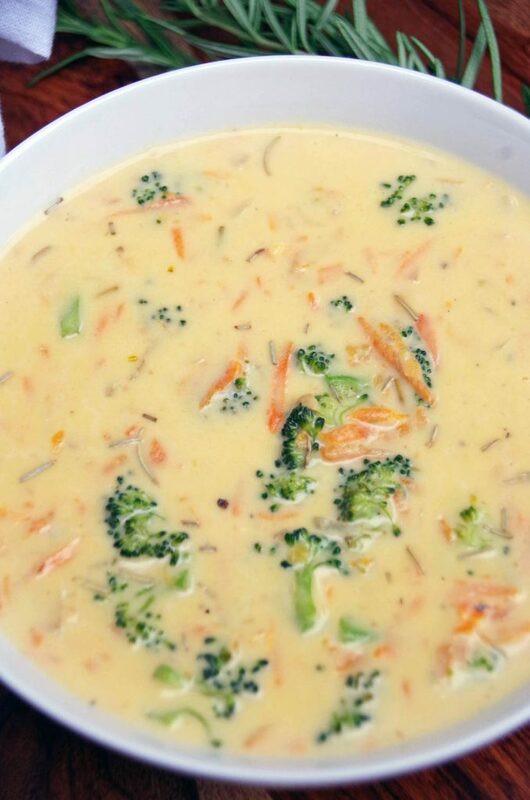 Like this Fresh Broccoli Cheese Soup Recipe? Pin it for later! 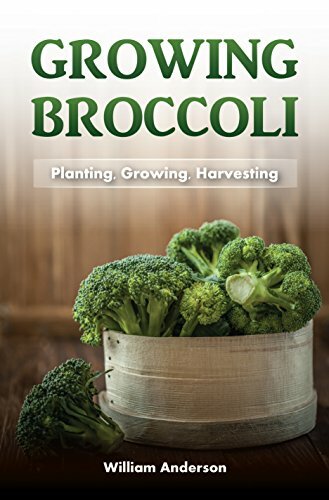 Looking for more fresh broccoli recipes? 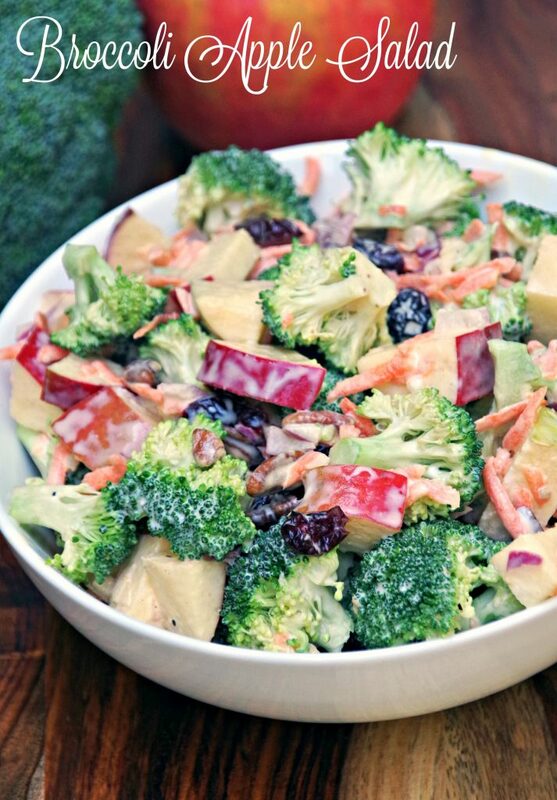 Try this broccoli apple salad! 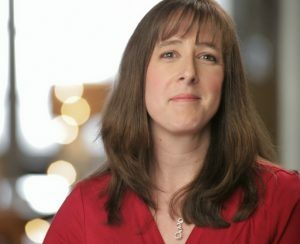 This recipe looks like a winner!! This looks delicious! My daughters and I love Broccoli Cheese soup, but I've never made it. Would love to try it. Thanks for sharing the recipe. I can't believe how bad I want this even though it's 90 degrees out here. LOOKS SO GOOD! I love broccoli and cheddar soup, thanks for the recipe! I will be making it for myself ASAP! I adore broccoli and my boys are wild about this type of soup. We just might need to make it on a chillier day soon. Even with summer in full swing in Chicago, I'm tempted to make this for the weekend. I LOVE broccoli cheddar soup, and can't help it. I'll make sure to make a batch large enough to last me several days. Oh my, nothing like having FRESH Broccoli!! This soup looks amazing, and will be perfect for a cold, chilly day. I agree...fresh is best. I really am not a fan of frozen broccoli!